Implements the measures aimed at improving a specific performance and manages the processes pertaining to the execution of corrective and proactive actions. Monitor the policy set in place by the Company for the utilisation of air services; ensuring that only accepted operators are used and any conditions set out in the Operator’s contract and Eni documents are followed as applicable. Operate control in order to ensure personnel authorized to travel are the only ones booked. Review records of all flights including details of: Sectors flown, Numbers of passengers and/or weight of freight by sector, Flying hours, Aircraft availability (delays and the causes), Operational occurrences, incidents and accidents. Confirm the numbers of Senior Executives or key personnel carried on a single flight fall within the Company’s guidelines. Set up a periodical (e.g. monthly) meeting with the operator to discuss any operational or interface problem. Make periodic visits to the Operator to verify operations are being performed in compliance with contract specifications. Follow up outstanding audit recommendations to confirm action on compliance and feedback to Head Office. Required experience: 10+ years within the Aviation industry with preference to experience in Oil and Gas Logistic, and operations. Risk assessment: National legislation pertaining to risk assessment; Guidance documents on the development of Safety Management System, Organizational system for airside activities; Knowledge of airside operation and potential hazard. Facility Physical characteristics, Compliance and Safeguarding: National, International and Company Aeronautical regulation on Airfield/Heliport/helideck design, operation and licence, Compliances (Fire protection, bird control, air navigation etc.) and Safeguarding (licensing, operation, risk assessment and Safety Management System). Local airspace management: Applicable Regulation and best practices on airspace topics (i.e. Air Traffic Service, Navigational Aids, Pilot Licensing ect.). Airside Safety Management and Flight Safety: On specific Aviation Safety Management System including risk assessment, safety cases and National Aeronautical Regulation on Flight Safety themes. Aviation security: On Aviation Security disciplines. Fire-Fighting and rescue Operations: On Rescue and Fire Fighting Services, training of personnel policies and procedure for maintaining the adequacy of the Service. Aviation fuel management: On all problems related the management of aviation fuel provision. Handling: On all matters related the aviation handling needs (i.e. Airside Safety Management, Dangerous Goods, International Aviation Requirements-Operations, etc.). Flight Planning and Dispatching: National, International and Company Aeronautical regulation including Oil Industries best practices concerning the flight planning and dispatching. Flight Following: Applicable regulation on Air Traffic services related the following of a Company flight. Reporting to the Production Manager, the Production Chemist is responsible for managing Jangkrik Complex (JKK-JKNE) Laboratory ORF and FPU, and also chemicals application in order to achieve the company EHS and business targets. To cooperate with respective people and organization with relevant administration and report, also managing EHS function in the department. Advisory support on production chemistry matters to assist with field development and production/operational management plans. Support to producing assets relating to production chemical issues, scaling, emulsions, hydrates, corrosion, waxing and any other process-related production chemical issues. Assign resources as needed to fulfill fluid and core analysis project requirements. Communicate and implement Hygiene Chemical policies and Standard Operating Procedures. Implement best practices on testing procedures. Implement best practices on calibration of equipment. Deliver continuous improvement in laboratory safety, equipment maintenance and SOP’s. Communicate with others third parties such as others oil and gas laboratory especially with East Kalimantan Laboratories Group. 15+ years in chemicals industry with 10+ years related in oil and gas industry or in laboratory with similar equipment used in oil and gas industry. Prior Chemical Technical Engineer or Laboratory Engineer experience desirable. Prior projects and/or commissioning experience desirable. Experience working overseas in a multicultural environment desirable. Be able to directly liaise with Government officials during offshore inspections: MIGAS, BPMIGAS, Government of Kalimantan Timur officials. Extensive experience and exposure to root cause analysis and troubleshooting of operational equipment with state of the art diagnostic technique. Organization Processes: Internal Standard, Feed-back development and diffusion, Technical Audit and Design review, Documentation Management. Support and Technologies: Standard ISO, TQM and Quality System, Technical requirement and Standard. Compliance: Local/National and International Standard and Codes, Health, Safety, Environment, Quality. Computer literacy: Word, Excel, Power Point, email, internet, SAP. 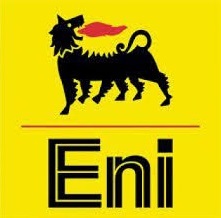 Thanks for reading Eni Muara Bakau BV Jobs: 2 Positions. Please share...!